GOLD. 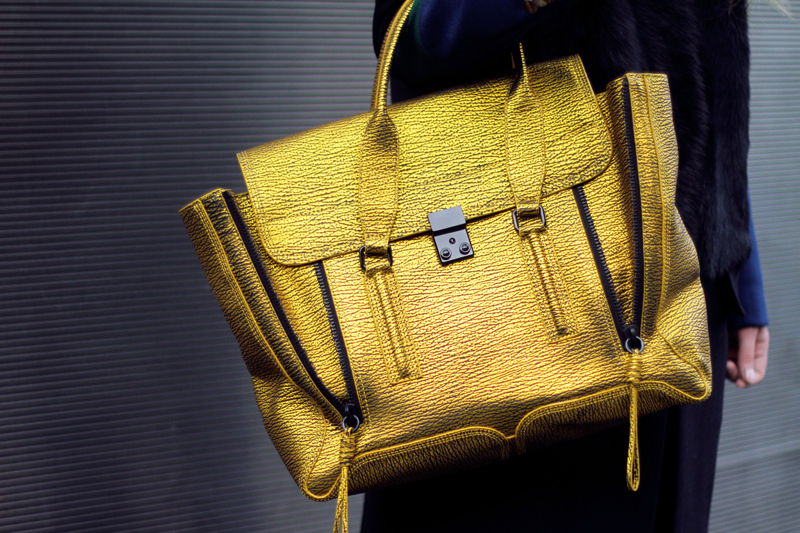 So, I was supposed to be on a strict shopping ban after I bought my ps11 in New York, but when I saw this stunning golden version of the Phillip Lim Pashli satchel I simply couldn’t resist buying it. (There’s just something about shiny metallics that make me go crazy!!). Super excited that the degrees are finally dropping because I have a serious feeling that this baby will look stunning with all the burgundy and navy knits + coats I’ve been stocking up on for fall..
3.1 PHILLIP LIM gold embossed Pashli satchel (get it here).